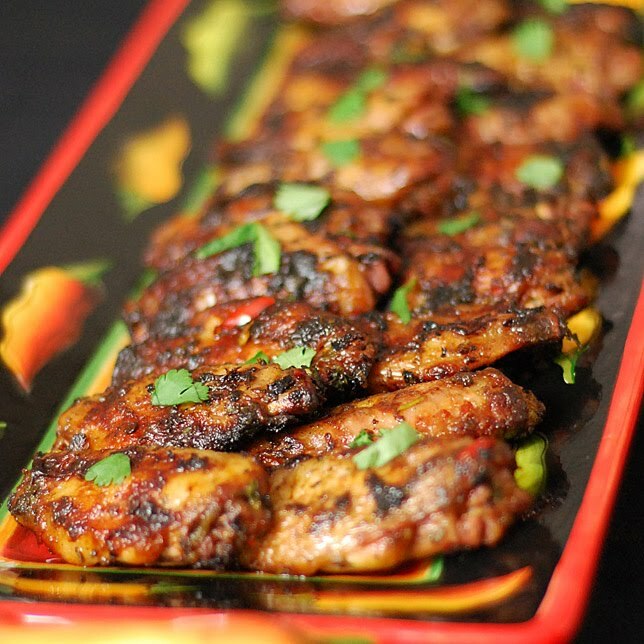 Until last night about 8:37 PM when I made this recipe from Steven Raichlen's Planet Barbecue! 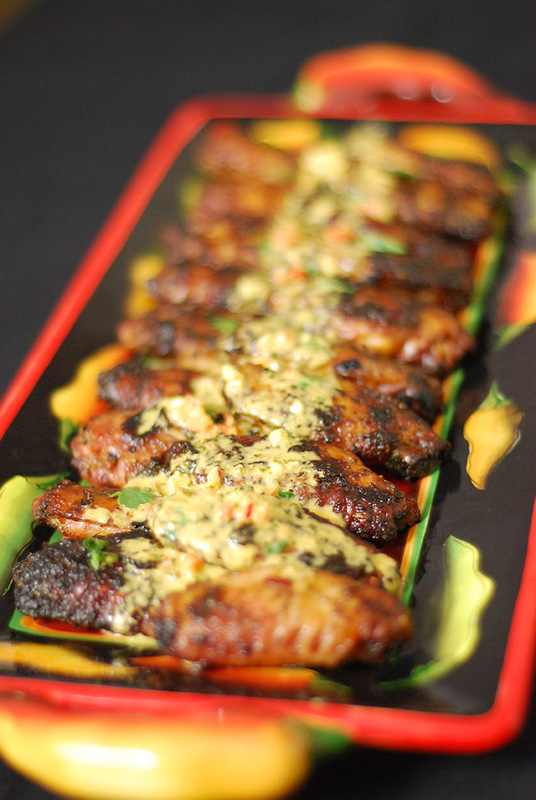 These piri piri wings bring a gauntlet of sensation. It's kind of like if you build a washing machine made out of heat (spicy), flavor, and "mouth-wateriness" and then throw yourself into it on spin cycle. 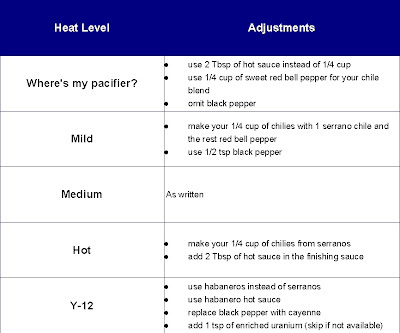 I didn't have Piri Piri chilies or sauce, so I used Raichlen's substitution recommendations. Here's a link to the original recipe. First, these are supposed to be hot but I know not everyone likes the sweet burn of capsaicin. I consider myself as a "medium" heat kind of guy leaning towards "hot". 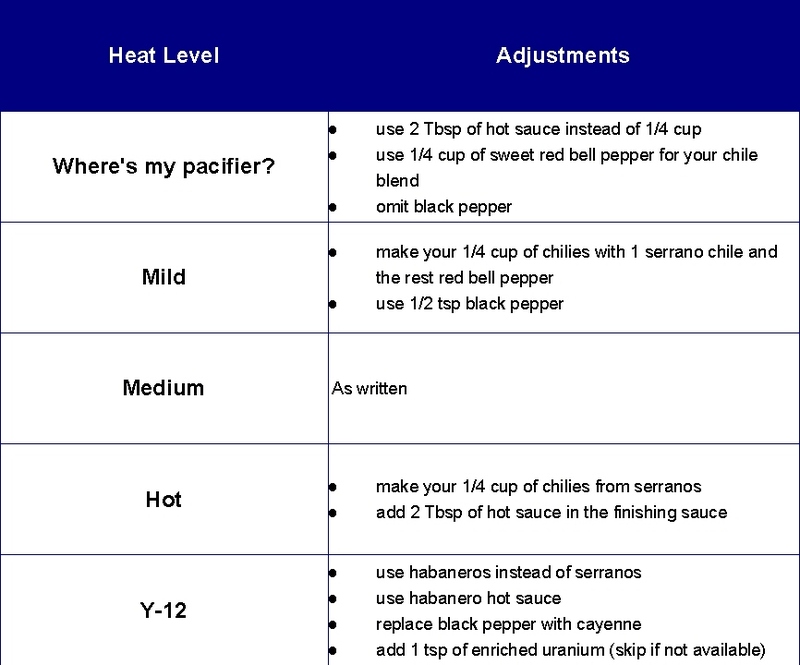 Here is how I think I'd adjust this recipe for varying tastes. I haven't tried these, just my thoughts. And process about 6-10 pulses until well blended. Yes. 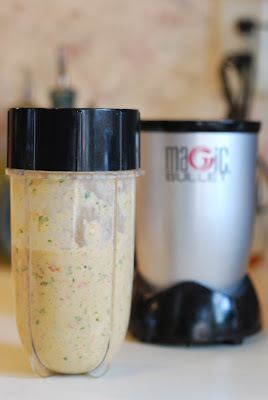 I have a Magic Bullet, don't be a hater. I got it as a birthday gift last year. 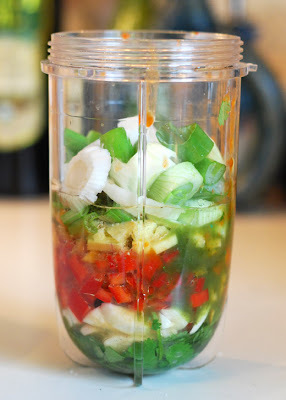 It is actually quite handy for marinades and dipping sauces. While their informercials would make any foodie cringe (who needs a food processor for an omelet? ), it doesn't take up much space, it's easy to clean and I find I use it about once or twice a week for quick jobs. 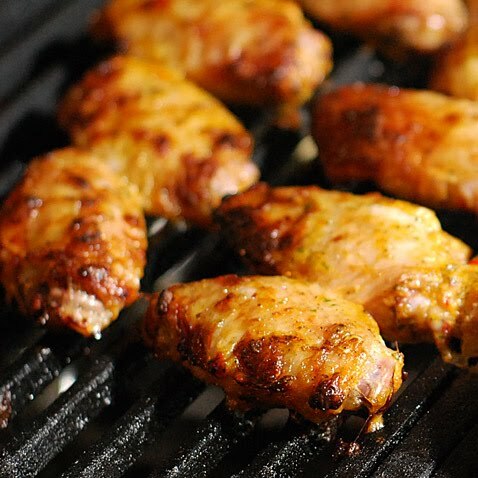 Plus it is super portable and easy to use out by the grills. 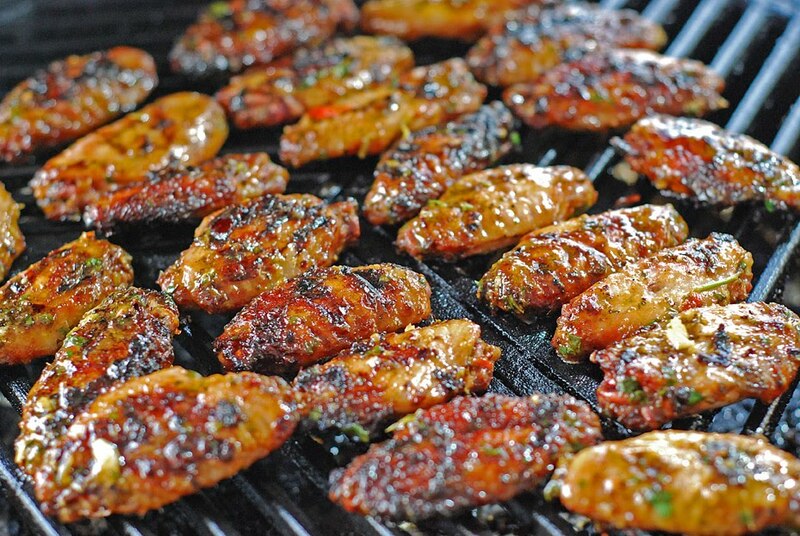 Marinate the chicken wings. 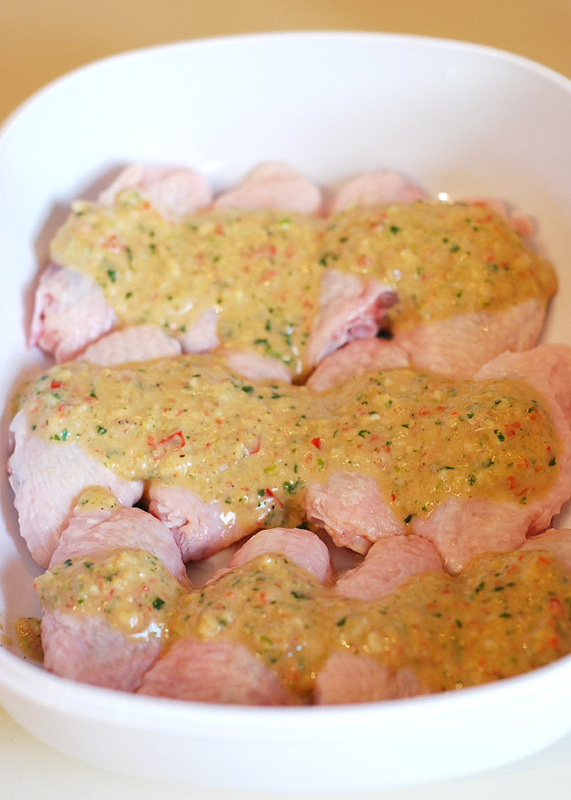 Look how colorful and rich the marinade is. I can't wait to try the same thing on shrimp this summer. The original version calls for overnight, Raichlen recommends 6-24 hours. I didn't have that kind of time so I broke out a tool I've had for about a year but haven't used - a FoodSaver Quick Marinator. 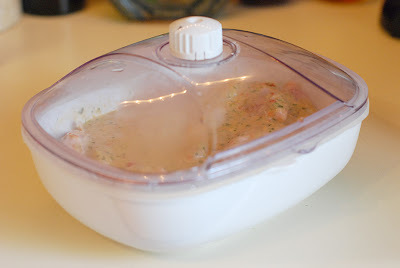 The theory is the vacuumed atmosphere will make the marinade soak in quicker. Then flipped and cooked for 20 more minutes. Then I tossed them in the "tossing sauce" and let them cook another 5-10 minutes. 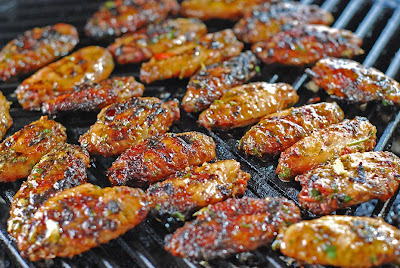 Just long enough for the sauce to cook onto the wings. I reserved about 1/4 cup for a finishing sauce. I'm actually disappointed in the pictures because the wings were so much better than they look. I know...they don't look horrible. But damn they rocked the taste. The pictures just don't do them justice. [Standard Disclaimer] I didn't receive any compensation for this post. I got the Raichlen book for free last year from his publisher but have bought more of his books since then. The Magic Bullet was a gift from a family member. 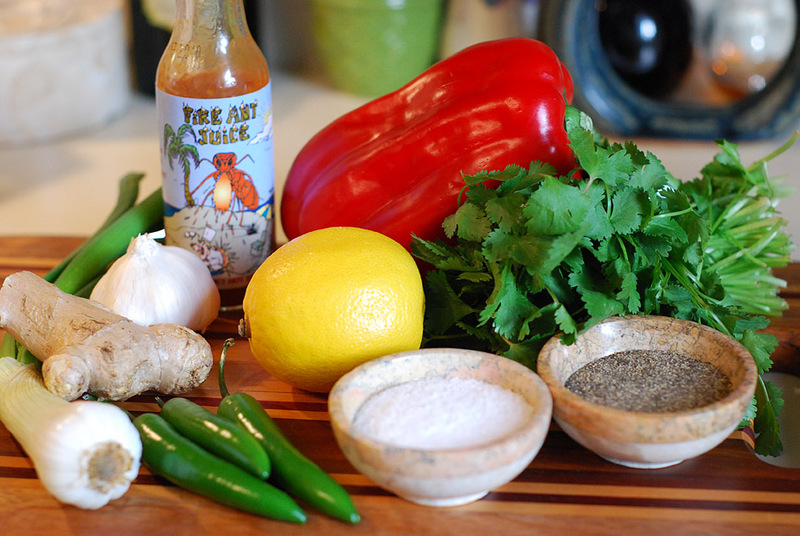 And Fire Ant Juice is just the best hot sauce on the face of the planet, it makes everything else look ridiculous. Oh, we also bought the FoodSaver Quick Marinator at retail.